Today's recipe is again brought to you by the inestimable Aunt Mish, who has supplied many of my favorite pre-meal munchies for family occasions going back as long as I can remember. 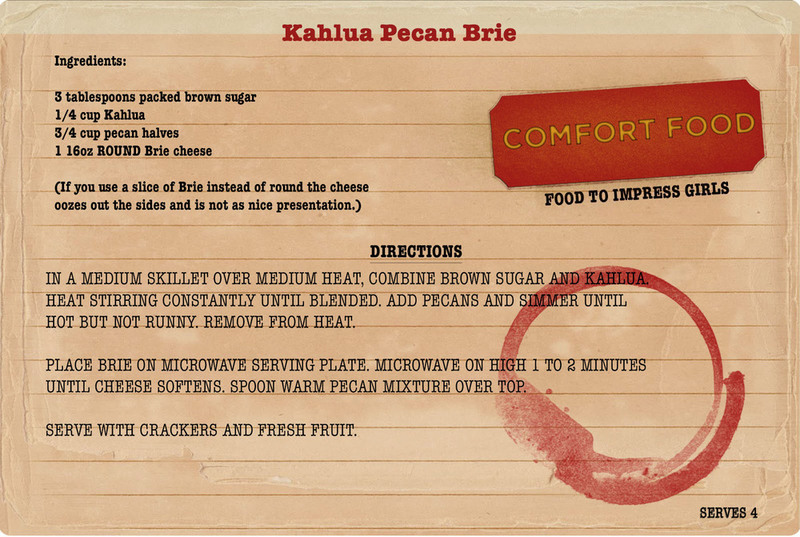 This Kahlua and pecan brie recipe is as easy as they come, and would make an impressive offering for a potluck meal or an evening get-together with friends. It's one of those perfect recipes that looks impressive without being too complicated--perfect for a reluctant cook like me.